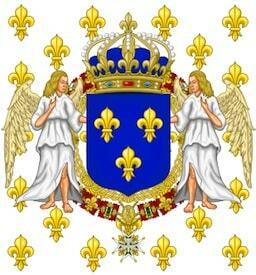 The Régiment d’Agenois was a French infantry regiment created under the Ancien Regime in 1595. It participated in the American War of Independence. The Régiment d’Agenois saw extensive service during the War of the Spanish Succession, being present at the Battle of Fridelingen (1702), the Battle of Blenheim (1704) and the Siege of Kehl (1707). In March 1749 the regiment was merged into the Berry Regiment and ceased to exist as a separate unit. In 1776 however the Agenois Regiment was recreated from two battalions transferred from the Bearn Regiment. The regiment, commanded by Baron de Cadignan, suffered heavy casualties in d’Estaing’s unsuccessful assault at Savannah (1779). A detachment of the Agenois Regiment participated in the siege and capture of Pensacola in Florida by Spanish forces on 26 May 1781. Two of its battalions were among forces brought from the West Indies to Yorktown (1781). Under its commander, Comte d’Autichamp, the regiment participated in the capture of a British redoubt on 14 October. Its principal engagements in that theatre also included St Christophe and Les Saintes. The regiment provided a detachment that participated in the capture of St. Kitts from the British on 13 February 1782. In 1791 the Agenois lost its traditional title and was retitled the 16e Régiment d’Infanterie de Ligne. In 1794 all regular infantry regiments of the old Royal Army were amalgamated with newly raised volunteer battalions, thereby losing their former identity. During the reign of Louis XV the original Agenois Regiment wore a grey-white coat with red cuffs and waistcoat. According to the 1776 dress regulations, the newly re-established regiment wore the usual off-white uniform of the French line infantry with light red (effectively pink) lapels and cuffs and green collars. Buttons were of white (silver or pewter) metal. By the eve of the French Revolution (1789) their facing colour had been changed to a deep shade of purple.